This month on Open Apple, we talk to Gary Little, prolific author of many technical reference books about various models in the Apple ][ line. In addition to writing great books that go deep on the hardware, Gary also wrote lots of great software, including such gems as AmDOS, and the popular Point To Point modem communication software. We also catch up on all the news (there’s lots!) and take some cheap shots at other podcasters along the way. Join us as we talk about open source hardware, GS ports of great arcade games, the joy of redialing, and DClocks. So many DClocks! 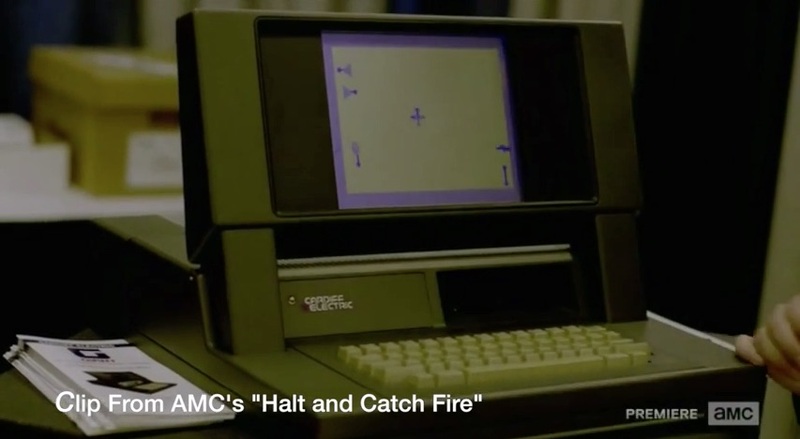 Halt and Catch Fire – AMC Drama series set in the golden age of 8-bit computing. 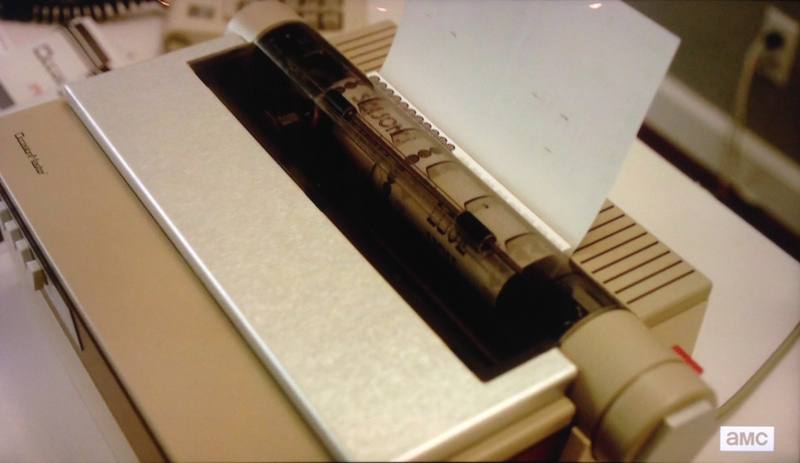 ImageWriter II cameo in Halt and Catch Fire – The prop used to represent the “Protonix OccasionMaster”. Rocky’s Boots cameo in Halt and Catch Fire – A classic Apple ][ game made to appear to be running on the Cardiff Giant. The Mac speaks for itself – The Mac speech demo that Quinn totally didn’t think was real. Jobs demonstrates his early flair for showmanship. Dagen Brock’s IIgs video series – Episode 0 of Dagen’s series on learning to program the Apple IIgs. Easy 6502 – A hands-on Java-based tutorial for learning 6502 assembly language. Western Design Center – Watch this space for information on the upcoming 6502-based hobbyist development boards. Western Design Center on Facebook – For all the latest announcements from our favorite chip maker. 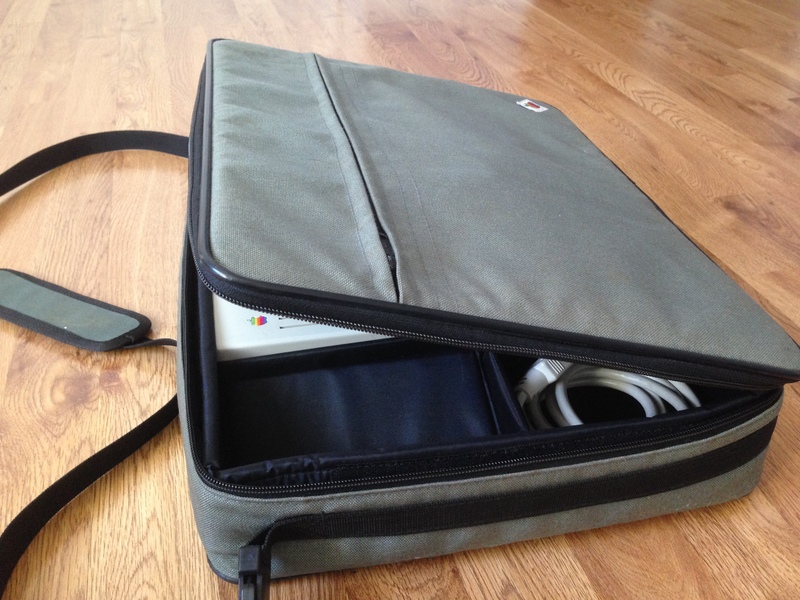 DuoDisk 3.5 Prototype auction – A genuinely rare and neat Apple ][ artifact for sale. Earlier DuoDisk 3.5 auction – The first one of two that appeared, which sold for impressive money. RAM Express & DClock combo auction – An incredibly rare and desirable pair of peripherals for the Apple //c Plus. Another RAM Express & DClock auction – Amazingly, a second auction for these rare items (not the same ones!). AppleFritter thread on CKeeper and CDrive – Internal hard drive and RAMdisk for the Apple //c. Meet the inventor! Open source 4MB RAM card for the IIgs – Apply your own engineering and get a tricked-out GS. Tech Note on //c Plus memory expansion compatibility – A small window into the black art of //c Plus RAM expansion. Second run of Carte Blanche? – Discussion about the ultimate prototyping tool for Apple ][ expansion cards. Quinn’s eBay score – A lower-right-logo carrying bag for her beloved //c Plus. All the bits are there! Sensei – An amazing port of Karate Champ for the GS. Sensei gameplay – Don’t have time to install the disk image? Watch some video! Activision resurrections the Sierra On-Line brand – “Badge engineering” at its finest. Gary’s Apple ][ Pintrest – This stuff still catches his eye, and who can blame him? Correction: In the show, we mention Sean Fahey’s DClock. Quinn misspoke on this- the DClock in question is owned by James Littlejohn. Quinn regrets the error, and Mike is already interviewing new co-hosts. I did a cc65 presentation similar to CV’s back at OzKfest’13, or did he do one similar to mine? I was just using GCC, not downloading/installing Xcode, which the current version wasn’t compatible with my 10.6 environment anyway, and setting up the make file and using VirtualII for testing/debugging. . . . . So, your double plus rendition it so much superior to mine and CV’s. Oh gosh, I may have to steal that line. How have I never thought of it? Don’t worry, I won’t let it go to my hea- whoops, too late. Does the Level 29 BBS still work? I’ve tried connecting to it many times over the past few weeks and I’ve yet to be able to successfully connect via telnet or the web console. Hank – I just tried the Level 29 web connect thing and that failed immediately. Using telnet, I was able to open a connection, but nothing ever came through – just a black screen and a blinking cursor, so maybe the experiment is over. We’ll address this on the next show. You two did a great job with the Gary Little interview. I enjoyed that thoroughly. Little sounds like a very likable guy to boot. It’s interesting, though, to note just how many of the original Apple II pioneers (of which Little certainly is one) moved on years ago, never really to look back, while we ‘true believers’ continue to be fascinated by this little machine. Sometimes I wonder if I’m the one due for a sanity check! Michael, that sounds like something a Rebel would say.